With about 36,613 florist businesses in the United States, engaged couples have plenty of opportunities to get help for their wedding flowers from local florists. Choosing wedding flowers and centerpieces is a crucial aspect of wedding planning. Unfortunately, even the smallest mistake can make a huge impact. To help you avoid mistakes when choosing floral centerpieces, this article is going to discuss a few choices not to make during the planning process. Not considering what will be in season. Most brides and grooms have a general idea of the types of flowers they want. However, there are those couples who have their heart set on a certain type of flower and don’t consider any different flowers. This can prove to be problematic if they choose a flower that won’t be in season at the time of their wedding. Because of this, engaged couples need to consider what types of flowers will be in season when their big day comes around. Fortunately, an experienced florist can help come up with some great wedding centerpiece ideas using in-season flowers. But it’s crucial that couples don’t put all of their eggs in one basket and not consider other options if their first choice doesn’t work out. Choosing too little or too many flowers. When it comes to choosing how many flowers should be incorporated into a wedding, from the bouquet to centerpieces, there is a certain amount couples should aim for. Some couples make the mistake of assuming flowers need to be everywhere. In doing this, they waste money on unnecessary flowers and can often overwhelm their guests with their floral choices. Other couples may assume having a floral bouquet will be enough and fail to incorporate flowers elsewhere. In doing this, they miss out on the opportunity to soften their venue with delicate florals. So choosing too many or too few flowers can be detrimental. Because of this, it’s important to fully consider the venue and decor options when deciding on wedding centerpiece ideas, bouquets, and other decorations. Trying to create an exact replica. To get ideas for their floral arrangements, couples will often look for inspiration in magazines or online. They may find an arrangement they think is absolutely perfect and want an exact replica of the example. However, this is not always possible. When considering factors like what’s in season, the couple’s budget, and what the venue allows, an exact replica isn’t always an option. Couples need to understand that what they see online or in magazines should simply be used for inspiration rather than to create an exact replica. Fortunately, by choosing to work with a reputable florist, couples can get arrangements that are as close to their inspiration as possible. 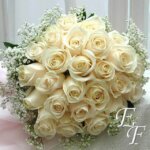 Hopefully, this article provided some useful information on choices to avoid making when choosing wedding flowers. Flowers are an important part of the big day, so it’s important to choose a florist who can work with your wedding centerpiece ideas and needs.